Sagittarius Zodiac – is the one containing the galactic center. Its name is Latin for the archer, and its symbol is, a stylized arrow. 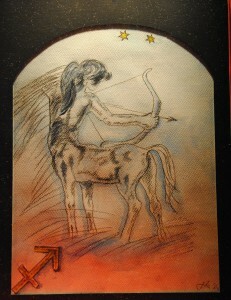 Sagittarius is commonly represented as a centaur drawing a bow.